“Integration of renewable energies and regional interconnections in South America” ​​is the name of the International Workshop held on September 5th and 6th at Cepal, which was organized by SERC Chile, the National Electrical Coordinator, the Corfo Solar Committee, and sponsored by the Ministry of Energy. 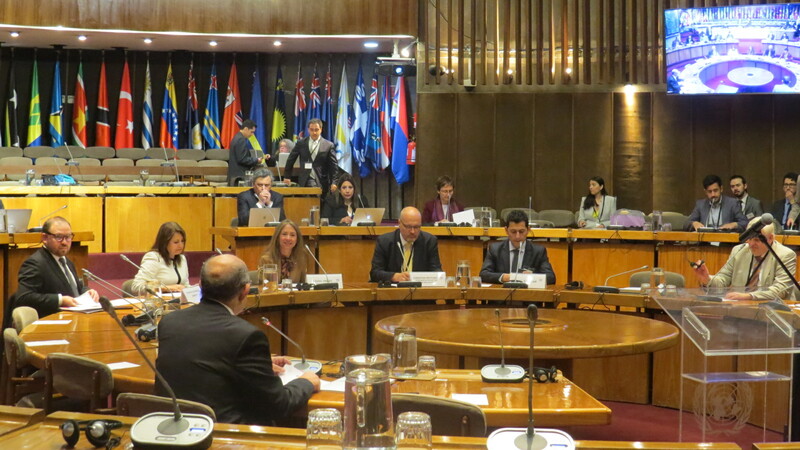 The meeting was attended by experts from nine countries and international organizations, including Energy Minister Susana Jiménez; Jeannette Sánchez, representative of Cepal; Daniel Salazar, of the National Electrical Coordinator; Patricio Espinoza, of Conicyt; Professor Christian Rehtanz, representative of the delegation of German scientists; Rodrigo Mancilla, from the Solar Committee of Corfo, and Professor Hugh Rudnick, member of the Strategic Research Committee of SERC Chile, who also served as moderator of the first block of the seminar. During the two days of the workshop – which involved ministries, electrical system operators, researchers, and leading professionals from Argentina, Brazil, Paraguay, Colombia, Ecuador, Peru, Uruguay and Chile-, the experience of energy integration in Europe was reviewed and, in particular, the case of Germany in charge of exhibitors such as Albert Moser, of RWTH Aachen; Christoph Weber, from the Duisburg-Essen University; Christian Rehtanz, from the Technical University of Dortmund, and Ludger Eltrop, from the University of Stuttgart. The workshop was a dialogue on the importance of flexibility and resilience in energy systems in the future, and discussed how technologies such as storage, demand management (DSM) and hydropower can contribute to this.